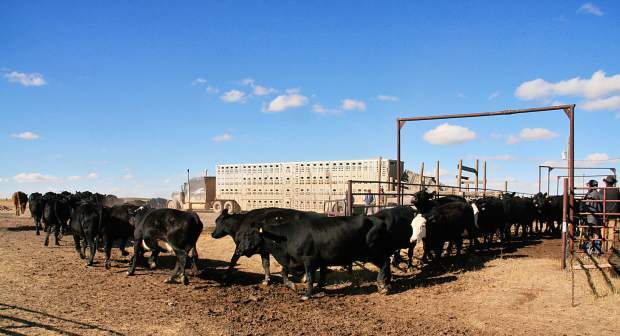 Ongoing budget concerns led the Montana Board of Livestock (MBOL) to pass a proposal to increase brand inspection fees by 25 cents and per-capita fees the maximum allowed. While all agree that balancing the MBOL budget is a top priority, the proposal was met with varying degrees of support by Montana agriculture entities and producers. Upon the MBOL's passage of the proposal on an Aug. 25 conference call, it entered the administrative rule-making process, requiring a ten-day rule drafting period followed by a thirty-day industry comment period. A final rule will not be put into place until due consideration of all comments has occurred. "They are in financial straits. They have had a couple situations brought forth in an audit by the state that they have to pay some money back on that had not set aside. They did not have any cash available, and have exceeded their spending authority, resulting in them having to make some tough decisions to get through the remainder of the year," said Montana Farm Bureau Federation (MFBF) executive vice president John Youngberg of the chain of events leading to the mid-August conference call. The MBOL lists $1 million in per capita expenses for brucellosis testing in Designated Surveillance Areas (DSA), a declining general fund to cover diagnostic lab expenses between 2009 and 2013, and a stagnant to declining revenue stream in the brands enforcement division in combination with rising costs as the three primary factors resulting in their current budgetary situation. "I realize costs go up, but what I have a hard time with is funding the Diagnostics Lab and DSA related expenses on the backs of the producer," said Avon, Mont. rancher Brian Quigley. "A lot of the increased expense related to livestock brucellosis testing is not even bison-related. It is due to more elk in new areas of the state testing positive for brucellosis, causing an expansion of existing DSAs and, consequently, livestock brucellosis testing. Where is the Fish and Game on this? They are making millions off of producers, and increasing producer fees to cover their expenses is not right." Quigley noted similar concerns regarding the proposed per capita fee increase when only three cents of every dollar it generates goes toward predator control. Montana Stockgrowers Association (MSGA) manager of communications Ryan Goodman said most producers echo Quigley's concerns, with others noting frustration over the brand inspection fee increase as well. "Montana brand inspection fees were just raised by a significant amount in the last year. Ranchers don't like to see fee increases, but if they do happen they like the assurance that they will be used for their designated purpose," he said, adding that MSGA spoke in opposition of the brand inspection fee increase, but in support of the per capita fee increase during the conference call. MFBF offered support of both the brand inspection and per capita fee increase, contingent upon three factors. "Our support is conditional on them finding a different source of funding for the diagnostics lab – the livestock industry in this state will not continue to fund the lab's expenses almost entirely on their backs. The second condition is that money raised from brand inspections be utilized for brand inspections. This is part of the law, but we wanted that reiterated. Third is that the MBOL follow through on the budget cuts they've outlined in addition to the fee increases," said Youngberg. For Quigley, an overall improvement in management would be the best change to the MBOL going forward. "There are some really good people on the MBOL, but they also have some issues that come down to management. Furthermore, it's a government agency, all of which are typically pretty free with money. In general you tend to be a little more scotch with your own dollars than with someone else's, and they deal strictly in other people's dollars. I think they need to buck up like everyone else, clean house and get their affairs in order before they start ramming this down the producer's throat in the form of increased fees," he said. Should the proposed rule be made final in its proposed state, the per capita fee increase would equate to an additional $155,000 a year, and the brand inspection increase would garner an additional $356,000 per year.